It’s Time to Start Thinking About…. 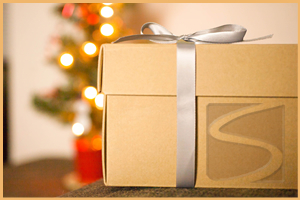 Gift certificates for Sentieri Italiani make the perfect gifts for the Italophiles in your life. The certificates are flexible, so they can be used for language classes, book clubs, cultural events, film nights and tours. The recipient can choose the Sentieri experience that they want and you know that you’ve given the gift of language and culture. Select the “Buy Now” button below to select your gift amount. We will mail you the gift certificate to present to your lucky recipient! This button will take you to our secure PayPal payment page. To complete your purchase without a PayPal account, choose “Don’t have a PayPal account?” on the next page and follow the payment steps.